What is a Google Page Rank? Page Rank which is also known as “PR”, Represents the Importance of any website or any webpage over the web. Google page rank is that when one page links to another page.It is continuously denoted as variety between zero and ten, with zero being the smallest amount and ten being the foremost. Why Should You Even Care About Google Page Rank? Google Page Rank plays an important role on Google Search engine. High PR sites Shows on top on Google Search, So High PR drive more traffic to your blog. Google Page Rank is the only reason who can calculate how often the Google spiders should crawl your blog. So Higher the page rank the more your site will be crawled.so you should care about Google page rank. Backlinks is also known as “external links”. Backlinks are the very important thing in any website. Backlinks are those external links which will refer your site as good sites from another sites. You can get backlink by submitting guest posts and comments on any other sites. Backlinks from high Page Rank sites will increase Page rank of your site and also make trust on Google search engine. But if you collect backlinks from banned sites, they destroy your site too. Only use quality backlink for your site. Popular directories for quality backlinks: yahoo directory, ezine articles, DMOZ e.t.c. You can also backlink through link exchanges. This is one of the oldest ways of back linking. How Long Does It Take For Your Google Page Rank Change? A new page on a blog or website will not get a page rank right away. It takes approximately 2-3 months for Google to assign a PageRank. 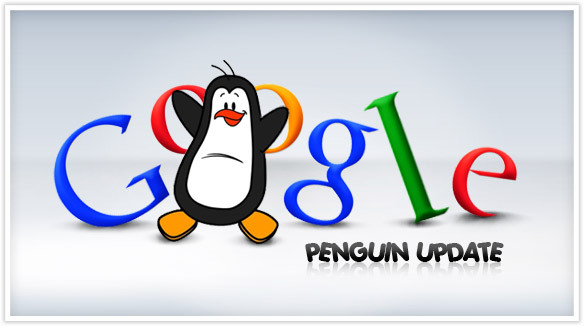 Google always update page rank of sites in every 3-4 months. How To Find and Check Your Google Page Rank? You can find your page rank by using the free Google Page Rank Checker. Just enter your site URL and hit Check PR. You can also use the Google Tool Bar, an official extension from Google for the browsers which shows the PageRank of any web page. What is the main profit of Guest Posting? Ans – It will provide you Backlinks, which will help you to increase your Page rank. Guest posting is an very trusted and important way to get backlink and increase your Google page rank. But only choose high profile and best websites for guest posting. Always post good and quality content on any other site as guest post that will transfer traffic from this blog to yours. It will helps you to increase PR and also generate some traffic. Social bookmarking and social media sites are the places where millions of users suffer daily. There are so many social media site over the web some famous social bookmarking and social media sites are: Facebook, Twitter, Google plus, stumble upon and Pinterest.social media traffic are valuable and very important website traffic in these days. Social booking will provides backlink to your site and which will increase your page rank. In Google’s each visit your website must have something new to show. So try to make some good press release related to your website weekly with do follow link backs in article to your website. It’s very important that you are active on regular bases and the Google PageRank algorithm will give more priority to you for your activeness. Content is the king of the website so do not ever compromise with it. Keywords are the terms which are search by users over the web. Internet market totally depends upon keywords. Backlinks are also knows as external links or referral links. When any link refer your site on any other blog or website these links are called backlinks. Social bookmarking sites drive natural traffic and refer your site on Google. Make some good press release related to your website weekly with do follow link backs in article to your website. This will help you to increase your page rank and trust on Google. Follow these tips and tricks to gain faster page rank for your website and blog. For sure you will gain higher page rank in next Google page rank update and also Drive some organic traffic. This entry was posted in Blogging and tagged Google, Page Rank on April 4, 2013 by admin.